This week every January the golfing world assembles in Orlando for the PGA Show week, a week of club-waggling, equipment launches and presentations. The show is barely a day old and yet already we've got our biggest headline of this year's event, "The Shark Is Back." Our friends at Cobra Golf have announced that Greg Norman, the former World No.1 known as the "The Shark", has rejoined the company. "It's about bloody time" Norman said, joking about his return to the company he originally joined as an investor back in 1988. Whilst Norman did put together a famous run at the 2008 Open Championship, he is not planning a return to the playing on the PGA Tour. Instead, his role at Cobra Golf will be that of a global brand ambassador, collaborating on product development and sporting Cobra clubs at appearances, tournaments and events. 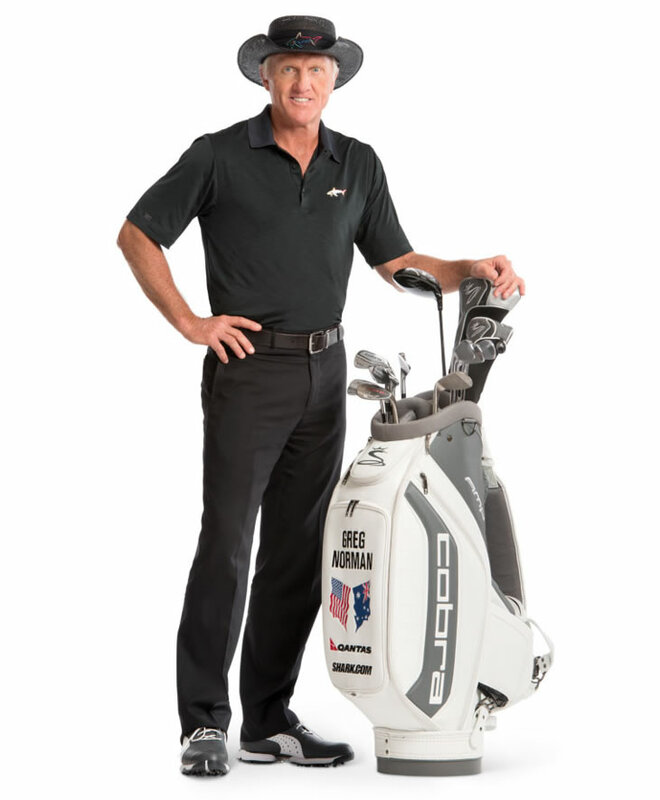 "It's a privilege to once again welcome Greg Norman to our Tour team and the Cobra Golf family," said Bob Philion, president of Cobra Puma Golf. "Greg is an industry icon and a true promoter of game enjoyment, which is what COBRA has been about from the beginning. It feels right to have him not only back on the course playing our clubs, but also behind the scenes, playing an intricate role in the development of our products and overall business." Golfalot will be in attendance at the PGA Show all week, and will be keeping an eye out for any Shark sightings. Follow us on Twitter to see if we get a chance to encounter "The Shark" in person. Until then, here's Cobra's Bob Philion talking with Norman about his return. Here is what you will see Greg playing over the 2014 season - Cobra BIO Cell Driver 8.5 (black), BIO Cell Fairway (black) & BIO Cell Hybrid (black), AMP Cell Pro Irons 3-PW and Tour Trusty Wedges 52 & 57. For all the latest Cobra Puma news, check out our exclusive Cobra Puma Zone.